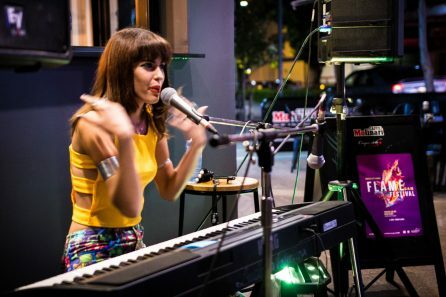 The Live and Local Strategic Initiative was a pilot program designed to support local councils and their communities in organising and delivering live music micro-festival events. 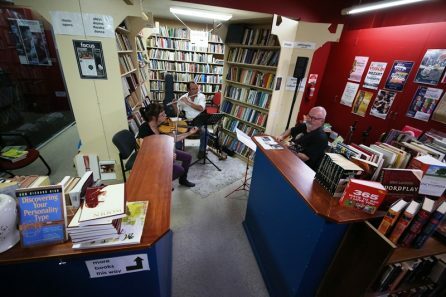 It was a partnership between Create NSW and the Live Music Office. 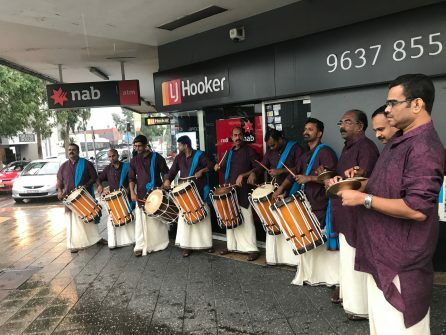 One of its key aims was to build the capacity for local councils to provide sustainable, locally specific music based events that also provides employment for local musicians. 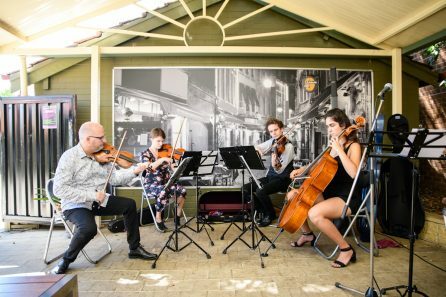 The program involved 18 local government areas across Western Sydney and Regional NSW, over 500 musical acts, more than 250 live venues, and provided employment for more than 1000 musicians. An evaluation was commissioned to assess whether the program model worked for the participating councils, businesses, artists and audiences, and to examine the impacts and lessons from the pilot program. The evaluation began with the development of a Live and Local program logic model: a visual depiction of how the program was intended to work. In-depth interviews were conducted with 44 stakeholders, including representatives from all 18 participating councils, curators, musicians, regional arts development officers and internal stakeholders. 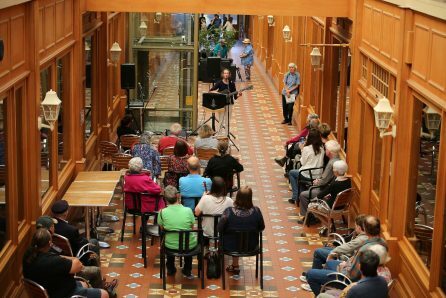 A desktop published evaluation report was prepared that detailed evaluation findings about how the program supported council capacity, business capacity and artist capacity. It discussed strengths of the initiative, lessons learned and provided a series of strategic recommendations. The findings from this evaluation along with its graphic elements have been adopted by Live and Local and incorporated into the development of their new Live and Local micro website.